- Products and cleaning agents used in your machinery. 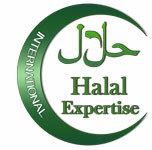 A convention between the parties is signed, which determines the contract duration, the rules to follow, the delivery mode of the Halal certificates (by lot, yearly) and the amount of the service. The audit will confirm the elements that have been verified previously.